Seamless traditional Japanese ornament Kumiko. 스톡 일러스트: Seamless traditional Japanese ornament Kumiko. 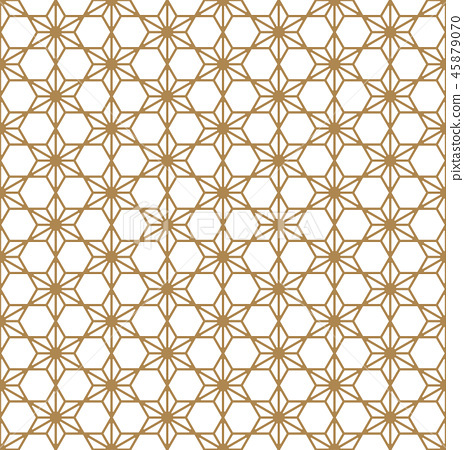 Japanese seamless Kumiko pattern in golden silhouette with average thickness lines.Rounded corners.